If you were at the side of a dying man, what would you say? 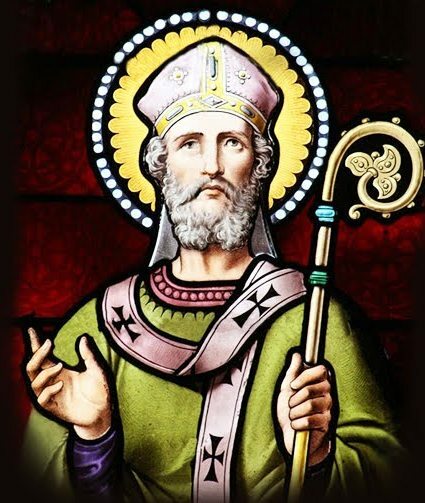 Anselm of Canterbury (1033-1109), a weighty and time-honored theologian, once wrote a piece intended for that very purpose: to bring comfort to dying Christians. His words are immensely comforting and powerful and worthy of slow, careful meditation. Question. Do you rejoice, brother, that you are dying in the Christian Faith? Answer. I do rejoice. . . . Question. Do you confess that you have lived so wickedly, that eternal punishment is due to your own merits? Question. Do you repent of this? Question. Do you have the willingness to amend your life, if you had time? Question. Do you believe that the Lord Jesus Christ died for you? Question. Do you thank Him [for His passion and death]? Answer. I do thank Him. Question. Do you believe that you cannot be saved except by His Death? Come then, while life remains in you, in His death alone place your whole trust; in nothing else place any trust; to His death commit yourself wholly; with this alone cover yourself wholly; in this enwrap yourself wholly. This done, let the sick man say thrice, “Into Your hands, O Lord, I commend my spirit, for You have redeemed me, O Lord, God of truth.” . . . If he is a layman, he should be questioned after the following manner . . . Question. Do you believe the things which belong unto the Christian faith, so far as regards what has been determined by the church? Question. Do you rejoice that you are dying in the Christian faith? Question. Do you grieve that you have offended your Creator? Question. Do you purpose, if God prolong your life, to abstain from offending Him? Question. Do you hope and believe, that not by your own merits, but by the merits of the passion of Jesus Christ, you may attain to everlasting salvation? If any oppose you, and should object to you, set between him and you the merits of Christ’s passion. This entry was posted in Uncategorized and tagged anselm, comfort, death, fear, pain, resurrection, sickness, suffering, tragedy. Bookmark the permalink.